It is pitch black when Lek knocks on the door of my room at the guest house. Today — this morning — we are on a mission: to rescue two female elephants from their lives of work and deliver them to freedom at Save Elephant Foundation’s newest project, Elephant Sanctuary Cambodia. I’ve only slept for a couple of hours, and the travel to get here has been exhausting. But, I don’t care. The tired vanishes from my body as I pull on my clothes and head downstairs. At 4:30 a.m., our group loads into the van and begins our journey. The “other girl” is Kham Lin, the younger of the two elephants. Her previous life was in a small village which used to have 100 elephants. She is the last one. Because of inadequate (read: non-existent) veterinary care, each elephant has been chained up when they have gotten sick and left to die. Her time in the village, thanks to Lek, is now finished. 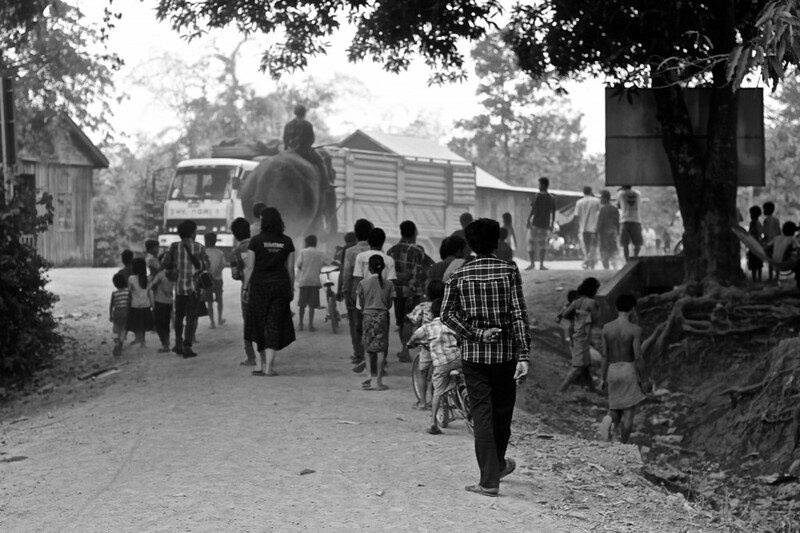 The day earlier, we watched as she took her last steps as a captive elephant, flanked by children from the village. Without hesitation, she walked onto the truck. Immediately, my heart fluttered and tears filled my eyes. This life of work is done for you, Kham Lin. As we head out of town with the sun just beginning to crack the horizon, I feel that warm feeling move through my body again. I know I am a part of something incredibly special … at least to the two elephants who are being rescued. We pull over on the side of the road a little outside of town and wait for the two elephant trucks to drive by. As they move down the hill, I see our team on the trucks, balanced on wooden boards affixed to the top, covered in blankets to fight the nippy Cambodian morning. They wave to us on the road below. We drive a little longer and Lek asks me if I want to ride on top of one of the trucks. My parents would definitely not approve of this. I agree in an instant, even though I’ve inspected the trucks. The one I want to ride one, the one with Kham Lin, is especially scary for me. The ladder to the top doesn’t even start until above the massive front wheel, and then there is a gap where you have to hoist yourself onto the roof of the cab, and then a step onto the top of the back of the truck. Lauren, a volunteer with us, climbs up first. “Come on, D, you can do it,” she says, looking down at me from the bench she is sitting on. I can’t not get on the truck, I can’t not ride with the elephant because I am scared of falling down a ladder. I muster my little courage and climb up, with the help of two people — one on the ground and one pulling my onto the top of the cab. Heart racing, I finally make it to the bench and look behind me. Kham Lin stands in the truck calmly. I wish she could understand how much her life is about to change. 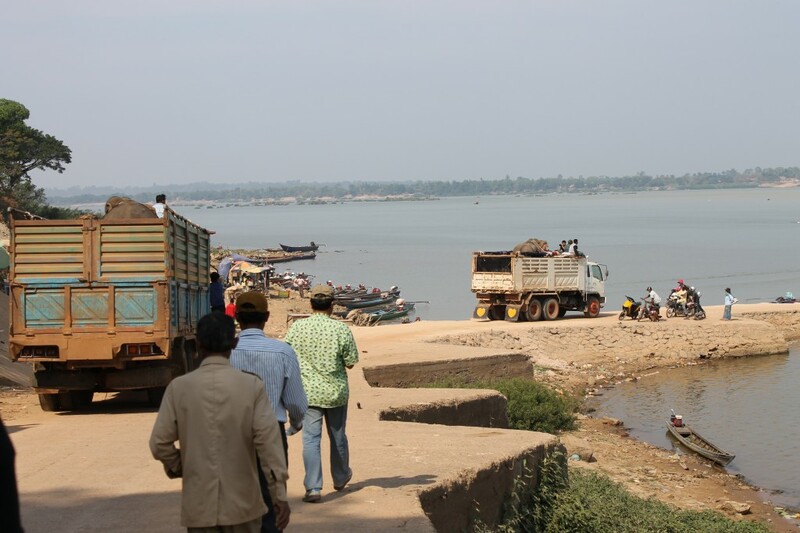 Then, we begin our journey to the Mekong. It’s chilly. Bugs slap my face. Dust settles on every inch of my body. And, I don’t care. 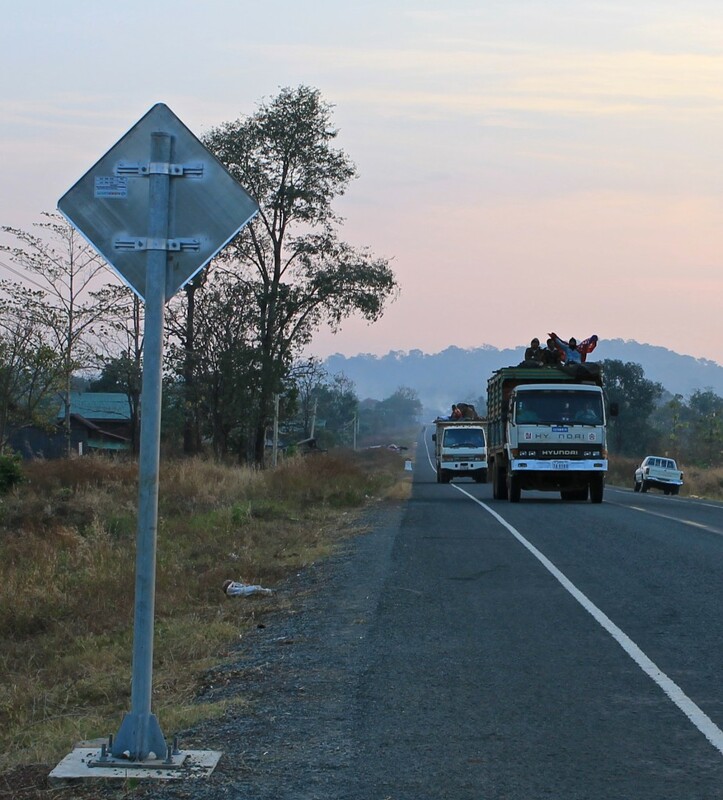 Being on top of the truck, seeing Cambodia pass me by like this … there is no place I would rather be. We drive for two hours down a two-lane, paved road. Around us is eerily quiet at this hour, as the sun begins to cast its golden light onto the (depleted) countryside. It’s magical and sad at the same time, driving through tiny villages of homes on wooden stilts and tiny shacks which sell goods to the people on the road. We arrive to the Mekong mid-morning. There is no bridge to take us across the river, only a barge. The three trucks load onto the barge and we begin the 30-minute ride across the river. When we are delivered to the opposite side, the world is entirely different. Instead of pavement, it is dirt. Instead of buildings, there are wooden huts. And, the military which greet us and stop us, inspecting our documents and looking through a book Lek has brought which shows photos from Elephant Nature Park and the happy lives of the elephants there. That is her dream for the sanctuary in Cambodia: to give the elephants happy lives. The military thumb through the book, pointing and smiling at the photos, and then wave us on our way. That’s when the journey gets more difficult. The road isn’t good. In fact, the bumps and dips make for a difficult time a top the truck. I haven’t gotten comfortable yet, so my feet attempt to brace my body against the back of the cab, and I have a death grip on the wooden bench I’m sitting on. 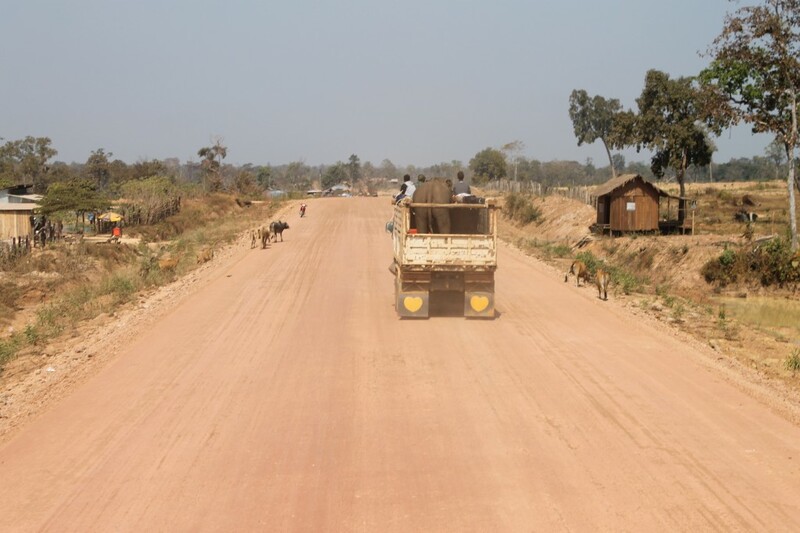 As we drive across Cambodia, my heart begins to quietly break. All around me is extreme poverty. Animals living under homes that will be meals. Children running with tattered clothing and smeared in dirt. Yet, each little village we drive through, we are greeted with excitement. An elephant! In a truck! For most, it is the first time they have seen an elephants — because today, there are so few left in the wild in Cambodia. The children run up to the side of the road and wave up to us on top of the truck. They point and smile at the elephants as we zoom by their world. I wish we could bring these people with us, too. 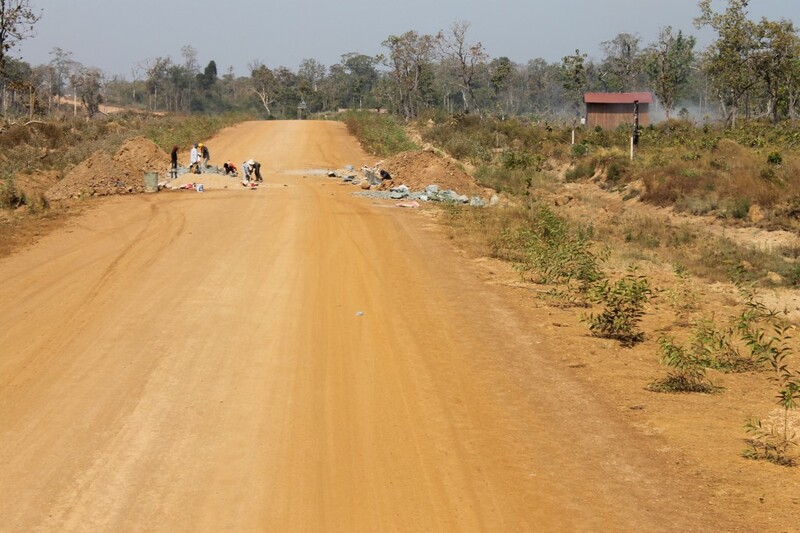 The interior of Cambodia is desolate. Graveyards of forests surround the dirt road. It reminds me a lot of the Las Vegas desert, only there is little life here, thanks to the burning of the jungle. There are places where the stench of burn sits thick in the air. And then there are places where the fires are so strong, I can feel the heat from them as we drive by. I can hear the crackling of the fires around us. Sadly, there is little jungle left. Finally, as the sky turns pink, I decide to get back into the truck. I can’t take anymore of the smoke, which has grown even worse. The last two hours, we trail the elephants in the van and I stare intently on them. Filled with happy that they are going to their new home. 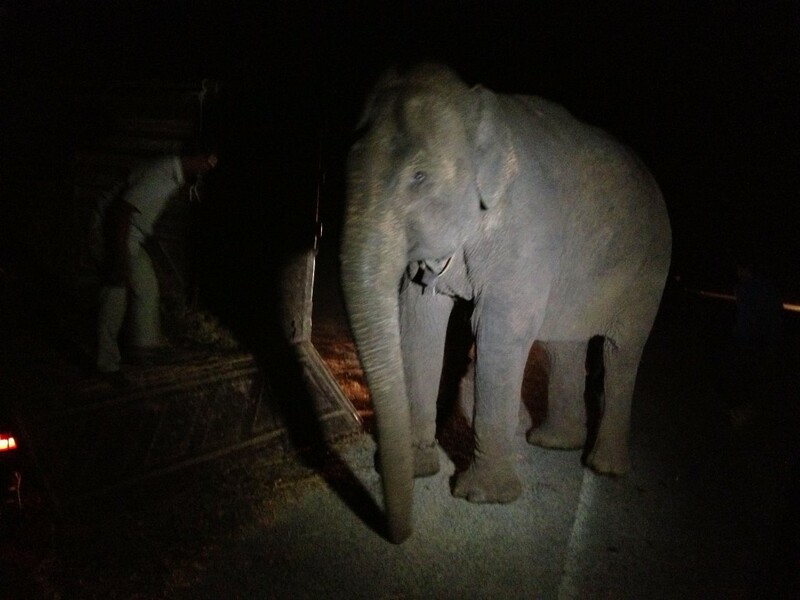 It is well into the night when we get to the sanctuary and there is one last part of the rescue which needs to be executed: the elephants getting off of the truck and taking their first steps into their new home. The first girl, the one who had trouble getting onto the truck, turns to us and gently kneels down and steps off of the truck. A small cheer and claps break out from the people who have stopped to watch this scene unfold on the side of the road. Immediately, I feel myself glow, I feel the tears begin to sting my eyes. Then, Kham Lin steps off the truck. Our team leads them into the park as we trail behind, watching them as they take their first steps to the rest of their lives. “This is just amazing,” I say to Lauren. “Yeah … I mean … well … you get it … you’re here,” she says. We’ve been a part of something so magical. So special. 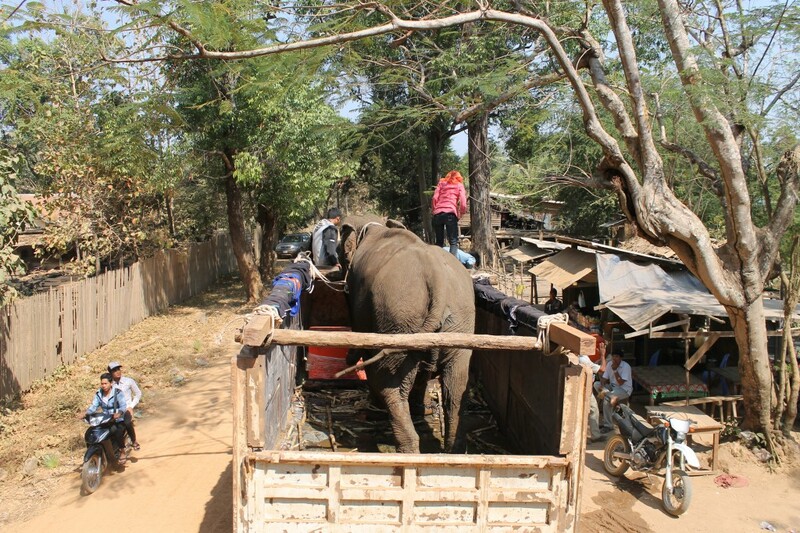 A month earlier, I visited Cambodia with Lek to see these elephants and to learn about them before they were rescued. To know I was a tiny part of something that gave these two gorgeous creatures a better life fills me with such warmth and takes me away from my selfish human needs and allows me to look at the bigger picture. It’s actions like this that can change the world and change the thinking of people. And, I am so glad to be a part of this momentous occasion. To witness these elephants be brought to a new life. To be at the start of something new with the sanctuary. In this moment, I could not be happier. Want more on the elephant rescue? 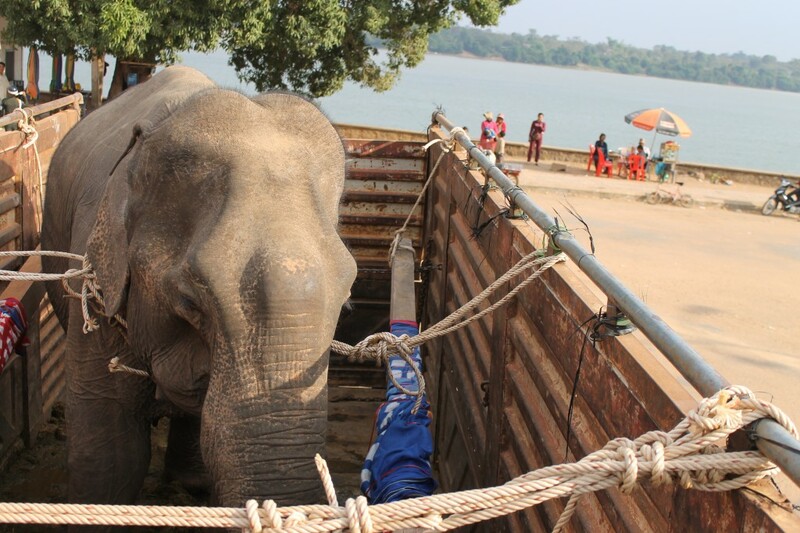 Check out The Diary of an Elephant Rescue. Thanks, Jenny. So do YOU. I have goose bumps and am crying with happiness. What an honor for you to be there. I felt like I was riding on the truck with you for a bit. Seems like those girls knew they were in for something better. This is just amazing. I know what it’s like to be in a situation where you’re kind of going step by step. Where the fear of going up a ladder or doing something that in any other setting would be mundane gets in the way, but you don’t let it. And then this little piece of mundane is a part of something so indescribably wonderful. wow…. no… WOW! what an amazing experience, I cant even begin to imagine the emotions that must have gone through you in your adventures…. I will be in Cambodia this year… Would be awesome to help these guys out as well… Is it something that anyone can volunteer for??? It was very emotional! And, yes, you can definitely volunteer at the project in Cambodia. 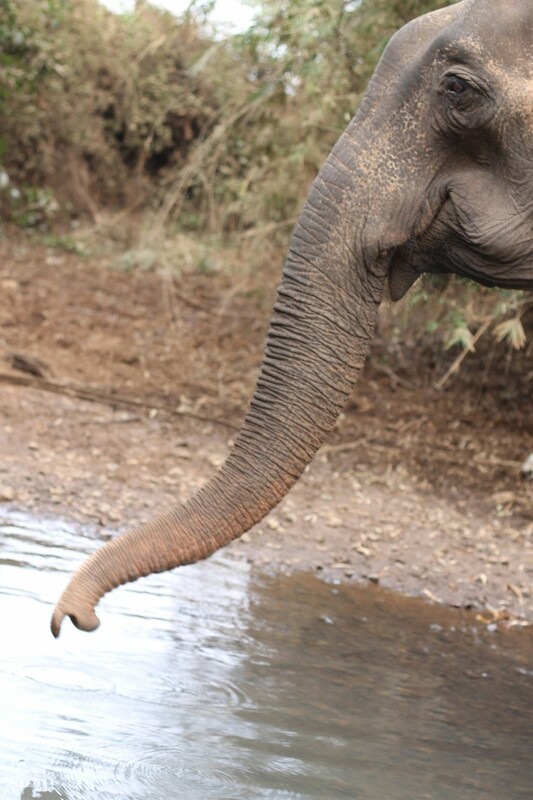 Head over to http://www.saveelephant.org and click on “Visit & Volunteer.” Hope to see you then! This was very powerful,thank you for sharing! 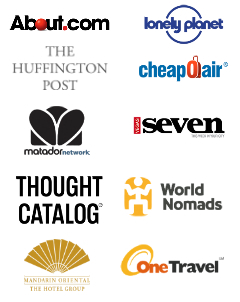 I ‘ll be sharing your story with my readers tomorrow in my “Best of Travel” Buzz post. Thank YOU so much. I appreciate the share very much. Thanks D…. just checked out the site you posted…. Must do…. a couple of weeks will be amazing…. It is a fantastic experience!! What a wonderful, heartwarming story! So happy for those elephants – you guys are doing amazing work. Hope to hear how the settle into their new home! I’m curious to know how you convinced the owners of these working elephants to give them up for a better life? I love the photo of Kham Lim walking to freedom with a parade of people following in farewell. One of the owners said he could not keep his elephant anymore because there was no more jungle or food in his village for her to eat. It wasn’t so much convincing for a better life, it was buying them and giving them the better life. We did show them a lot of information about what the foundation does and how the elephants would live if they were moved to the sanctuary. I like to think that the owners loved the elephants enough to want to give them something back for all of their years of service and work. This is an amazing story. Good for you guys! Thank you!! I hope you can make it out here and do one with me one day! Such an uplifting yet somber story. Loved reading it. So happy you are doing this and are genuinely fullfilled. Sometimes its hard to find that kind of happiness and reward! Thank you, Annie. The experience was beyond incredible. And the best part? It won’t be my last one!! Darling, the work that you’re doing is beyond words amazing!!!!!!!! Truly you are my hero and I wish there were more people in this world like you. Much love! Thank you so much, Andi. I really appreciate it! I hope you can make it out here sometime soon! Simply beautiful. Perhaps my favorite blog entry of any travel blog. Ever. Wow, Amanda. Thank you so much! That means a lot to me!! Wow! Very inspiring – admire you all for spending your time doing something so worthwhile. Amazing work! I knew there was a sanctuary outside of Phnom Penh, but I have never heard about the one in Siem Reap. You are doing an amazing job! Thank you! 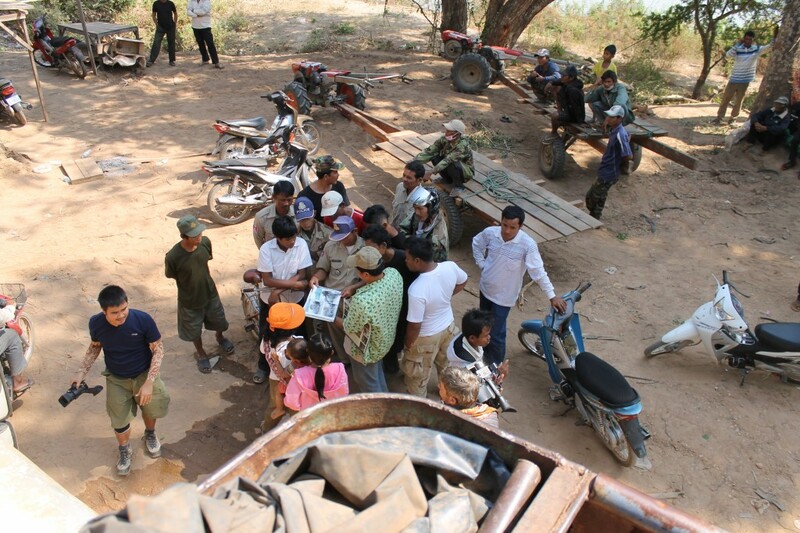 The Elephant Sanctuary Cambodia is a new project. It’s been around for a couple of years, but these are the first two elephants to move there. What an incredible story – thank you so much for sharing your experience! Thank you for taking the time to read them and share! This is great. Screw riding them, I’d pay (donate?) for the experience of helping to rescue one. The experience was really incredible. Hmmm … that is a good idea, Matt! Not sure if we ever have enough notice to offer something like that, but I think that would be cool! What an incredible experience this must have been for you. we can only imagine all of the different emotions you must have been feeling all at once. You are a wonderful person, and we are so glad that you were able to experience such a powerful emancipation. It was a very powerful and emotional experience. Love you both. A great account, Diana. I found myself thinking of the destination. You wrote, “This life of work is done for you, Kham Lin.” I’m approaching retirement and those words hit home for me. I know in Thailand the work of the chang was very important for centuries. They made huge contributions to the country. For me, work brings me satisfaction, maybe the same for chang? Of course if there is no food for them, they need to be rescued. But will they have no work to do at the destination? I hope they don’t just stand around, eat and sleep in their retirement. Interesting take, but I disagree with you entirely. Wild animals were not made to work, they were made to be wild. Their work is riddled with abuse in a multitude of different forms. They deserve to live their lives in peace and without having to work for us. While it may be the norm as humans, we should not project our attitudes about work on wild animals. I guess I was hoping to learn what their lives would be like at the destination. You read my word “work” to mean work prescribed by humans and benefitting humans. That isn’t what I had in mind particularly. I was curious about the destination and have no particular axe to grind about any of this. Wild animals engage in activities in the wild that are productive and benefit them, such as creating and tending to offspring, interacting with others in their groups, hunting and consuming food, and so on. All of that is the work they engage in to survive. It is beneficial to them. It has nothing to do with humans. A wild animal in a metropolitan zoo may not be able to do a lot of that. They can sit in their space and eat the food given to them. They are never hungry, but they’re also not free and have no need to work. They can just sleep and eat. Maybe they’d rather be free, at risk at times and hungry at times. No animal is ever free in a zoo though sure you can understand that? Call it a “sanctuary” but it is not their home nor family and not even large enough nor rich enough to be their habitat. Oh well. Elephants are this year’s tourist boom so be it! Thanks for taking the time to comment. 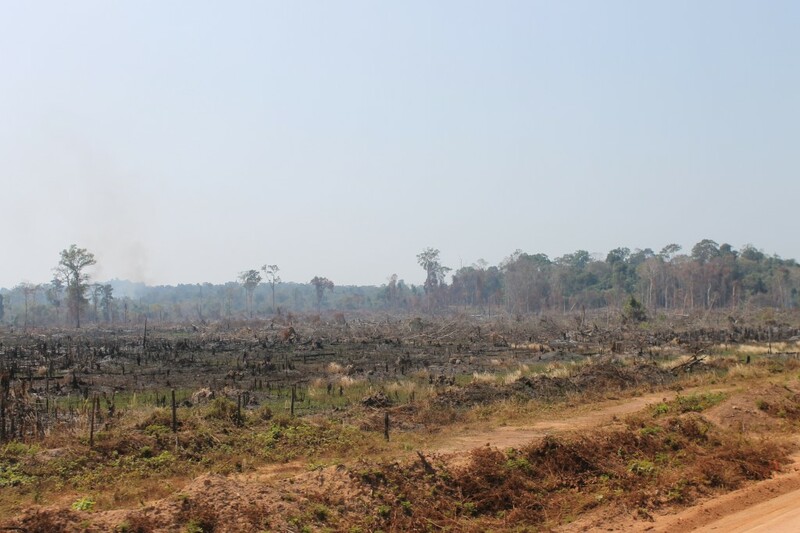 The place we took the two rescues to in Cambodia is nothing like a zoo … at all. 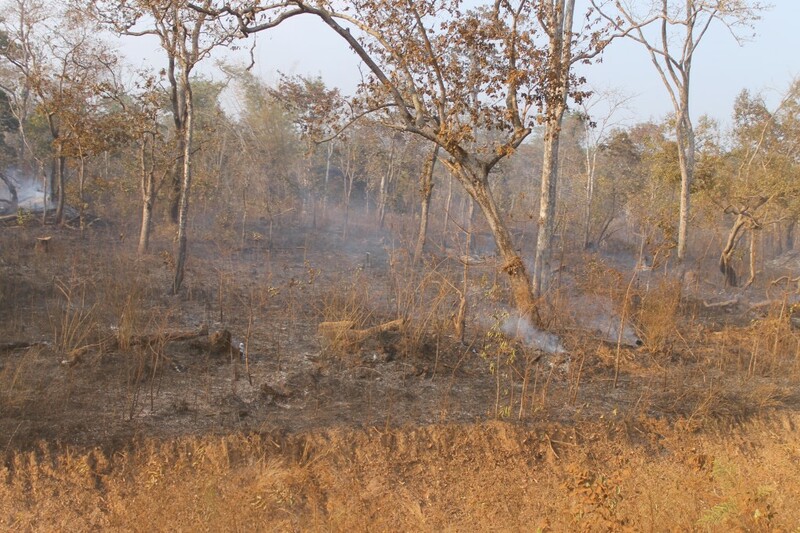 It is a large, LARGE area of jungle where the elephants can roam. At night they are chained so they don’t get into trouble, but during the day, they are able to just be elephants. For more information about the sanctuary, and all of the other projects, I urge you to visit http://www.saveelephant.org and then make a statement. I do not support zoos, in the least, and do not support animals in captivity. However, no project is perfect and in not all elephants are equipped to go back into the wild. For the elephants rescued at the sanctuaries I work for, the animals could not survive in the wild. They are old, horribly injured, blind, etc. and this place allows them to live without working.